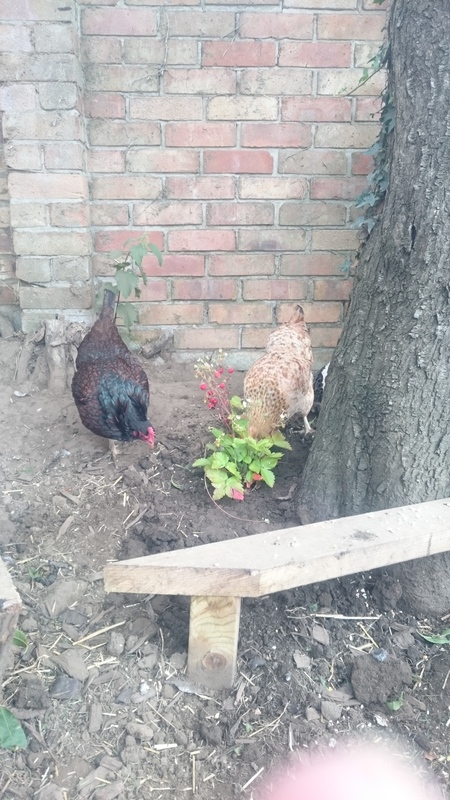 The girls enjoyed checking out the new foliage in their pen today. Me digging a hole caused much interest and excitement for them. Once planted, picking off the wild strawberries entertained them for a while too. Much to my delight, they haven’t dug the plants up yet and don’t seem interested in eating the leaves. It would be lovely to have more plants in the chicken pen instead of bare soil. Any recommendations for plants in chicken pens would be welcome.